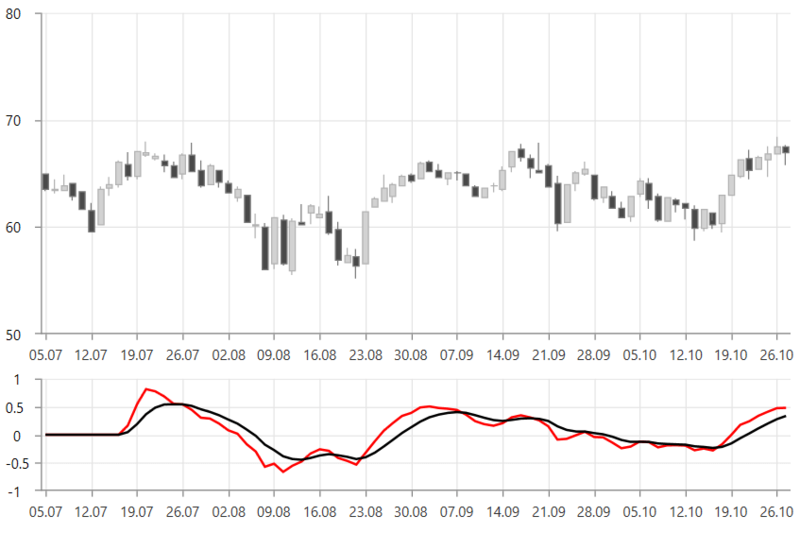 MacdIndicator is a trend following indicator which displays the relationship between two moving averages of data. To set up the indicator you can set its CategoryBinding, ValueBinding and ItemsSource properties. Additionally, you can control the period (in days) over the which the indicator will be applied. To do this set the ShortPeriod, LongPeriod and SignalPeriod properties. To display the signal period you will need to set the SignalStroke property.